The Lancaster County Courthouse was completed in April 2011 after a devastating fire put the original historic Lancaster courthouse out of commission. 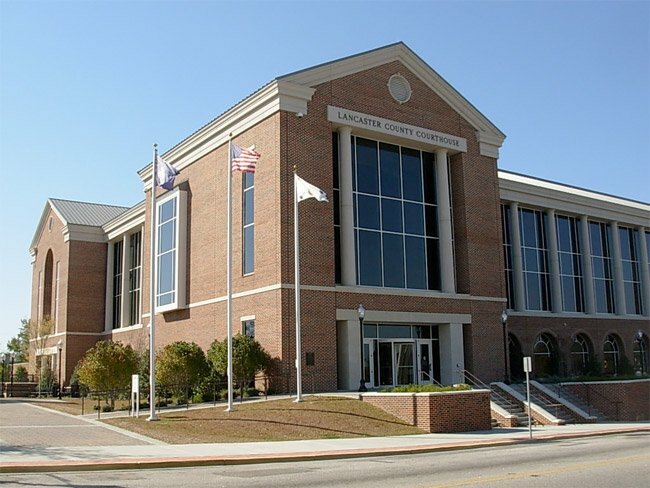 Even though the burned courthouse was later restored, Lancaster County knew that a new building was needed in order to comply with South Carolina’s security regulations. This more modern courthouse was built next to the historic one, and is a designated Leadership in Energy and Environmental Design (LEED) project. To most of us from Lancaster, the court house is still the historic building to the left of this one. I’m sure this one fits the needs of modern day lawyering fine though!